Foreign students are welcome to our group, Mechanical Simulation Laboratory, as Ph.D. course students in the framework of English-based IGP students (International Graduate Program). You have a merit of having great chance to get scholarship from Japanese government (Monbukagaku-sho, Ministry of Education, Culture, Sports, Science and Technology; MEXT) for three years in this IGP of Keio University. To start from September with scholarship, the deadline of submitting the application form is November or early December of the previous year. Without scholarship, the deadline is early April of the same year. Note that the deadline is much earlier to get the scholarship. 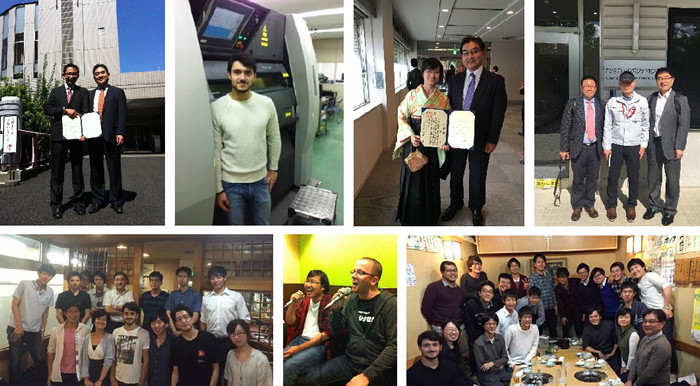 For more detailed information, please visit the Keio University web site. Also the double degree program students and short term international exchange program students in the master course are welcome. Copyright © MECHANICAL SIMULATION LABORATORY, Department of Mechanical Engineering, Keio University All Rights Reserved.